Unfortunately, I wear out shoes quickly. Very quickly. 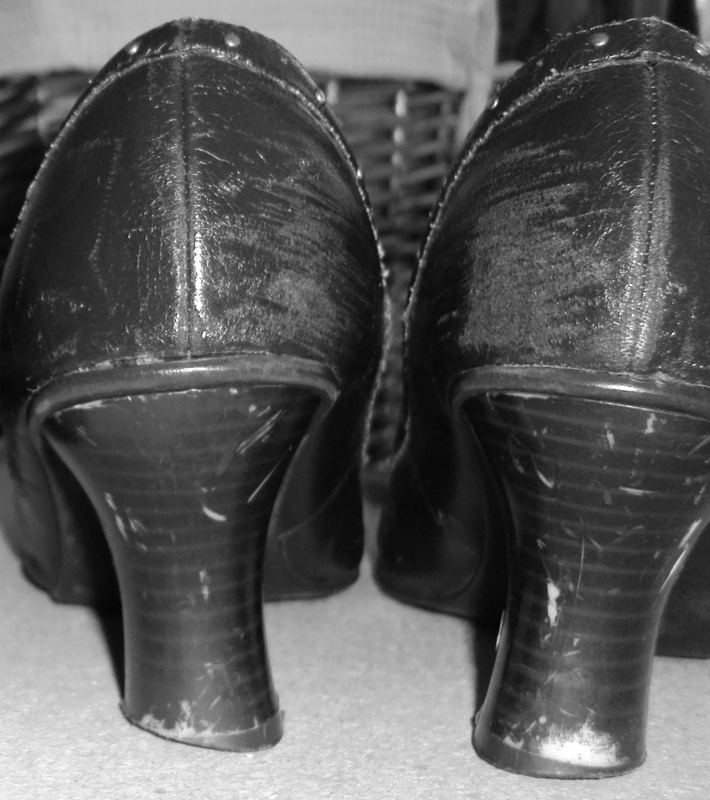 And, I’ve found that when my shoes are worn out, I have to fight even harder to get respect. I’m not sure that people who work in the for-profit world will understand, but anyone who works for a community-based nonprofit organization will – especially those who work for social service agencies. Our shoes , just like us, are often worked and worn to the bone. We are a unique breed that must band together. Our biggest battles aren’t necessarily a result of working directly with the people who need help or of the perception that they are undeserving, lazy or simply crazy. Sometimes, our biggest battles are with people who support our organization, a cause or a specific project. For almost twenty years, I’ve worked for community-based nonprofit organizations. And while the work is exhausting, it’s also meaningful and educational. 1. We greatly appreciate you. We know the work we do wouldn’t be possible without you. We know you care, and we know you are compassionate. 2. Your compassion doesn’t mean you are qualified to do our jobs. 3. We do our jobs because we are both compassionate AND skilled. 4. Your bank account doesn’t mean that you know more about the issues than we do. Not only do we have the training and the work experience, many of us work in the trenches because we have ” been there.” Sometimes, because of our salaries, we are still there. Please listen to us. 5. Don’t assume you are more educated than we are. Most nonprofit and social services jobs require, at a minimum, a bachelor’s degree for a position that often doesn’t pay as much as an entry-level, administrative assistant job in the business world. 6. Don’t assume that our ONLY motivation is helping people. That’s a primary motivation, but we still need to pay the bills. Keeping agency administrative costs low is important, but keeping them too low may be hurting the people who are trying to do the most good. It may also limit your pool for people who can fill key leadership positions. 7. Don’t assume that staff doesn’t care about salary and benefits (or lack thereof) because we have spouses/partners who, in your eyes, have”a real job.” The work we do is “ a real job.” Many of our jobs require a license. The helping profession is bound by ethical, legal and professional practices that have been put in place for a reason. 8. Don’t assume that just because we don’t get personally involved with clients that we don’t care. We probably care more than you will ever know. But because we are educated in our field and because we often hold a license, we have to behave in a professional manner that will limit liability while improving outcomes for the client. 9. We know that when you work with our organizations you are volunteering, and we appreciate your time more than you will ever know. But don’t assume we are lazy or not committed to the cause because, at the end of the work day, we don’t have the energy to volunteer to do the same thing we do day in and day out. 10. Disregarding staff in times of key leadership decisions only leads to poor morale. When a key staff person is leaving, other staff members should be consulted as to what skills and leadership style would fit with the team before the selection process even begins. Staff should even be consulted about their interest in a leadership position. 11. The nonprofit and social service sector is composed primarily of females. Falling back on the “good old boys” network for leadership is taking a step backwards, not forwards. It doesn’t sit well with female staff, donors or volunteers. 12. Board members have to play an active role and not simply serve as a rubber stamp for decisions that may have been presented by someone with an agenda. You can always go back to the drawing board – don’t feel like your options are limited to what is presented to you at a board meeting. These words of advice are based on my long-term work for community nonprofits. That work will end when I walk out the door of my current employer this Friday and into the door of my new employer the following Monday. As would be expected, my departure has led to an appreciation I never knew existed (see suggestions Number 10 and 11). So for all the people who, over the past few weeks, have told me that I’m leaving some really big shoes to fill, I apologize if I haven’t accepted the compliment with grace. It’s not that I don’t appreciate the sentiments. I just know my shoes are really worn out. Whoever takes my job not only needs to put on their own pair of shoes, they also have the opportunity to point those shoes in their own direction. And I’m sure that direction will lead to a lot of great accomplishments. Posted on May 6, 2012, in My life, Uncategorized, Work and tagged board of directors, leadership, nonprofits, People, professionals, relationships, social services, Thoughts, thougths, volunteers, Work. Bookmark the permalink. 11 Comments. I had to read this a second time because it is so awesome!!!! Trina – keep your writing out there. You express so much for so many of us!!!! I hope lots of folks have the opportunity to read this blog – it will open up the minds of many!!! Betty.. it’s definitely getting read… who is reading I have no idea! Once again I will say that you are “wasting” your talent not writing FULL TIME. So many of your comments are so VERY TRUE. I saw many of those “examples” as a Volunteer to UWEP and other organizations in the past. Best of luck in your new job. You will surey be a needed and appreciated part of your new employment. Trina, You may not believe me but the email I sent to you via uwayep was sent before I ever saw this blog. It’s kind of blowing me away. Please keep in touch and let’s have coffee or lunch after you get settled in your new position. You will have hundreds upon hundreds (if not thousands) of people following you where ever you go…keep on bloggin’!!! Aw.. thanks Paula… I’ll definitely keep in touch!